Cheap Superhero Puzzles- 12 Ct. Perfect addition to any comic themed event! Unleash your inner superhero to be the first to conquer the maze! The race is on to maneuver the little ball inside these comic book-inspired maze puzzles to reach the end. Beware of the dead ends hidden throughout. 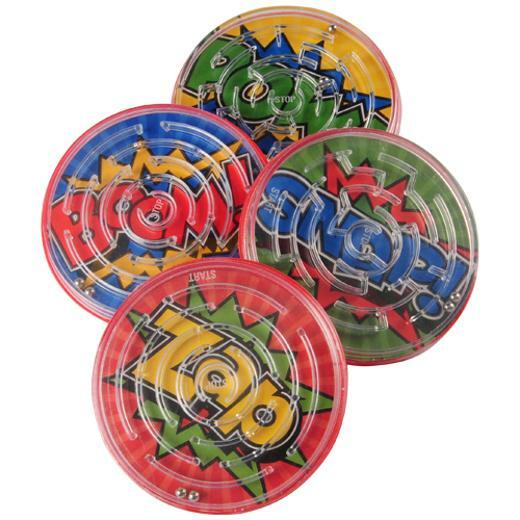 A great party favor they can use to challenge their friends at their next superhero-themed party! L: 7.0 in. W: 1.05 in. H: 7.75 in.